Worldwide coordination of glacier monitoring started in 1894 with the establishment of the Commission Internationale des Glaciers (CIG), continued after 1967 with the Permanent Service on the Fluctuations of Glaciers (PSFG), the Temporary Technical Secretariat for the World Glacier Inventory (TTS/WGI, after 1976) and – combining the PSFG with the TTS/WGI – with the World Glacier Monitoring Service (WGMS, after 1986). The following persons have had primary responsibility with respect to the guidance of this work (cf. overviews by Radok 1997, Haeberli 1998, 2007 and the regular reports at the WGMS website). F.-A. 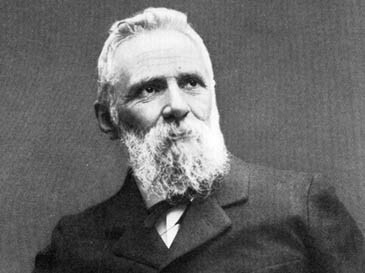 Forel was the main initiator of the international glacier monitoring program and the first President of the CIG. 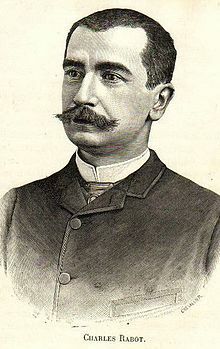 He wrote the Discours Préliminaire explaining the concept and strategy of the work to be done and published together with Léon Du Pasquier, Neuchâtel, Switzerland (Secretary of the CIG) the reports I (1895) and II (1896). 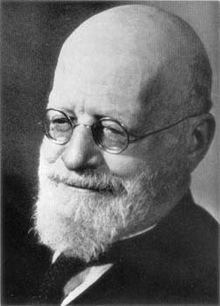 As president of CIG, E. Richter published the reports III (1897), IV (1898) and V (1899) emphasizing the role of the 35-year cycle for understanding glacier fluctuations. 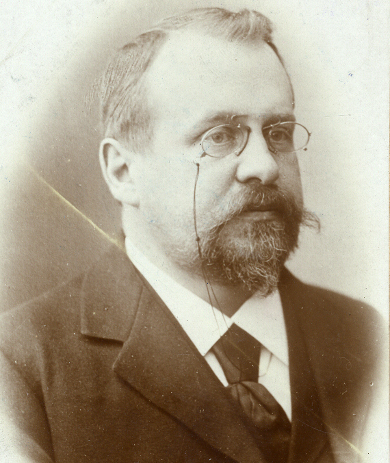 As president of CIG, S. Finsterwalder published together with Ernest Muret, Bern, Switzerland (Secretary of CIG) the reports VI (1900), VII (1901) and VIII (1902). He pioneered precision mapping of glaciers in the Austrian Alps and mathematical modeling of glaciers. 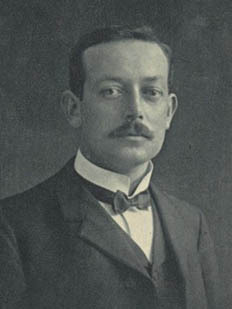 As president of CIG, H.F. Reid published together with Ernest Muret, Bern, Switzerland (Secretary of the CIG) the reports IX (1903), X (1904) and XI (1906), including the first data from Antarctica. 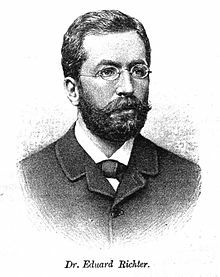 As president of CIG, E. Brückner published together with Ernest Muret, Bern, Switzerland (Secretary of the CIG) the reports XII (1906), XIII (1907), XIV (1908) and XV (1909), attributing glacier retreat since the middle of the 19th century to the proposed 35-year climatic cycle named after him. As president of CIG, Ch. Rabot published together with Ernest Muret, Bern, Switzerland (Secretary of the CIG) the reports XVI (1910), XVII (1911) and together with P.-L. Mercanton, Lausanne, Switzerland (Secretary of the CIG) XVIII (1912), reporting the first signs of re-advancing glaciers. 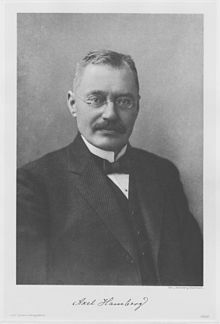 As the last president of CIG, A. Hamberg published together with P.-L. Mercanton, Lausanne, Switzerland (Secretary of the CIG) the report XIX (1913), keeping CIG alive through the First World War into its post-war transformation to the International Glacier Commission of the International Association of Scientific Hydrology (IASH) with Hamberg as first president. The International Commission on Snow and Ice (ICSI) was later established in 1948. P.L. Mercanton kept reporting on international monitoring of glaciers alive during the difficult years of the Great Depression, the Second World War and the first following years, publishing a series of reports (1913-28,-31,-35,-46,-50,-51,-52,-53,-54,-55,-56,-57,-58,-59) primarily on glacier length changes in Europe and Scandinavia. 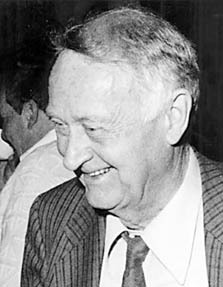 As the first PSFG Director, P. Kasser published volumes I (1959-1965) and II (1965-1970) of the Fluctuations of Glaciers, revitalizing modern worldwide glacier monitoring within the framework UNESCO and ICSU (IASH/IAHS, IUGG). 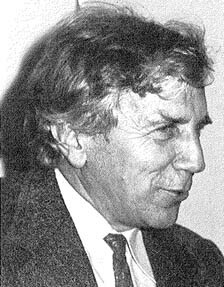 F. Müller published volume III (1970-1975) of the Fluctuations of Glaciers, introducing computer-based data processing with Roger Braithwaite, then at ETH Zurich, Switzerland, and started working for the World Glacier Inventory, establishing TTS/WGI as a project of UNEP. 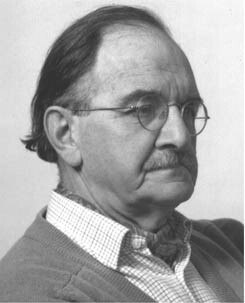 W. Haeberli produced volumes IV (1975-1980), V (1980-1985), VI (1985-1990), VII (1990-1995), VIII (1995-2000), IX (2000-2005) of the Fluctuations of Glaciers and the Glacier Mass Balance Bulletins 1-10 covering the years 1988-2007. 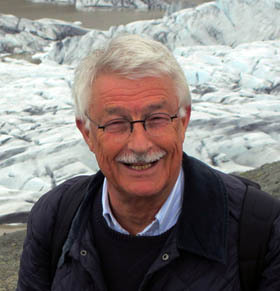 He completed the first World Glacier Inventory (1989) and as the first Director WGMS (1986-2010, starting at ETH Zurich) combined the work on glacier fluctuations and inventories in a comprehensive monitoring strategy (Global Terrestrial Network for Glaciers) within the Global Climate Observing System of WMO, UN and ICSU organizations. The current director and the WGMS team are listed in the contact details. Haeberli, W. (1998): Historical evolution and operational aspects of worldwide glacier monitoring. In: Into the Second Century of Worldwide Glacier Monitoring: Prospects and Strategies (Haeberli, W., Hoelzle, M. and Suter, S.; Eds.). UNESCO Studies and Reports in Hydrology, 56, 35-51. Haeberli, W. (2007): Changing views of changing glaciers. In: Orlove, B., Wiegandt, E. and B. H. Luckman (eds. ): Darkening Peaks – Glacial Retreat, Science and Society. University of California Press, 23-32. Radok, U. (1997): The International Commission on Snow and Ice (ICSI) and its precursors, 1894-1994. Hydrological Sciences Journal 42(2), 131-140. All data reports are available as PDF from the WGMS website.